Mexico’s green economy – a model for the global south? Development leaders and policy-makers from various countries came together last week in the world’s first UN Global South-South Development Expo. Among them was Martha Isabel Ruiz Corzo, recent UNEP Champion of the Earth winner and Mexican representative, who gave a TEDxNairobi talk and was a keynote speaker at the event’s SEED Symposium. The Expo aimed to harness the ever growing number of solutions that address both existing and emerging development challenges head-on. And for the first time, the Expo was held in the global South under the overarching theme ‘Building Inclusive Green Economies: South-South Cooperation for Sustainable Development and Poverty Eradication’. 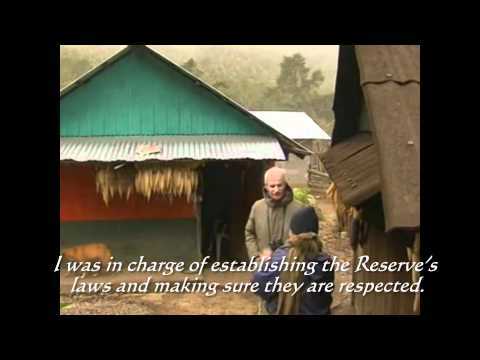 (Read more) Ms Ruiz Corzo, director of Grupo Ecológico Sierra Gorda, demonstrated the success of the Sierra Gorda Biosphere Reserve’s green economy. The SEED Symposium and 2013 SEED International Awards Ceremony took place on Thursday, 31st October 2013 at the United Nations Office in Nairobi, Kenya. Hosted by UNEP, these events were organized in the framework of the Global South-South Development Expo (GSSD Expo). The SEED Symposium was a forum to foster the Green Economy and encourage the growth of socio-environmental entrepreneurship. Last month Martha “Pati” Ruiz Corzo was invited as a keynote speaker to the “Un Millón de Jóvenes por México” summit in Querétaro. The event celebrated a nationwide network of young change-makers, who are in talks with the Government about the many challenges facing Mexico’s youth today and, and how youth can play a role in creating positive social change. One of the summit’s special guests was prestigious environmental ambassador from the United Arab Emirates, Sheikh Abdul Aziz al Nuaimi, more commonly known as “The Green Sheikh”. We were very lucky to have the opportunity to take him to the Sierra Gorda following the event, and showcase some of the community conservation activities and private nature reserves we support. He was so impressed by the Sierra Gorda projects, that he’s now planning to return next year with a group of youth people from his country so that they can learn about the participative conservation management we promote. It was a great honor to be able to introduce the “Green Sheikh” to the “Green Jewel” of central Mexico, and to be able to call him a friend and ally. Following the summit, Francisco José Gurría Treviño, General Livestock Coordinator at SAGARPA, indicated he would support the extension of these activities through pilot plots, farms, ranches and eijdos throughout Northern and Central Mexico. Should they continue to prove successful, such programs could be replicated across the entire country to reverse the effects of desertification. 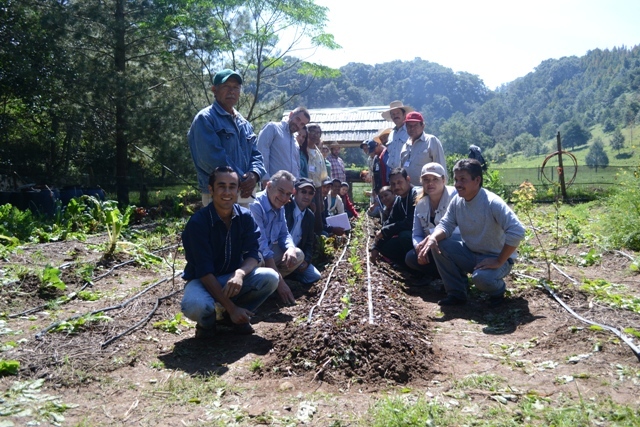 This October, 18 people from 5 different states in Mexico joined us in the Sierra Gorda for Bosque Sustentable’s Soil Regeneration workshop. Participants learned about Holistic Management, which represents a logical approach to understanding and working with nature, and included training on regenerative grazing; low-cost organic fertilizing techniques; Keyline design; how to biologically monitor their land; organic agriculture techniques and healthy eating. Quad bikes are becoming a major issue for tourism activities in the Sierra Gorda, with local residents concerned that the biking groups are ripping through their small communities without any appreciation of the negative impacts such activities have on their environment and quality of life. In addition, some quad biking is occurring on pristine riverbeds, which not only causes major damage to local flora and fauna, but is also illegal under Mexico’s environmental laws. (Read more) Grupo Ecológico Sierra Gorda, with support from the Inter-American Development Bank (IDB), has carried out an environmental and socioeconomic impact study of the area affected by quad bike tourism. It found that “the only people who are earning money from this activity do not live in the area, are not from the area and do not care about the social and environmental impact they are having”, according to the study’s consultant, Juan Carlos Ibarra. 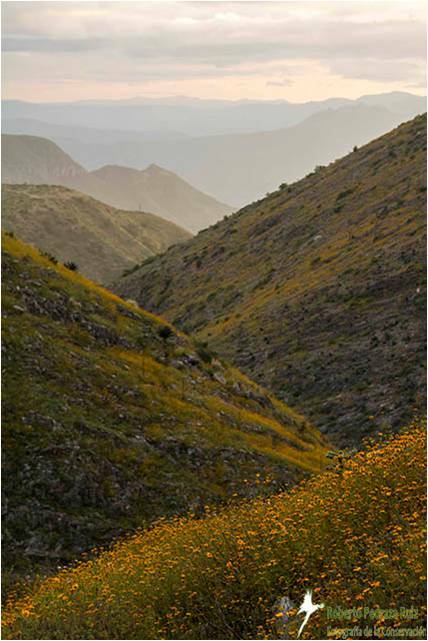 Every year, the western side of the Sierra Gorda that looks towards the semi-desert bursts into a yellow bloom of wild cempasúchiles. This year is especially spectacular thanks to the abundant rainfall, creating a stunning if fleeting view. The federal government has announced it will work with civil society organizations on a series of national pilots to combat desertification. 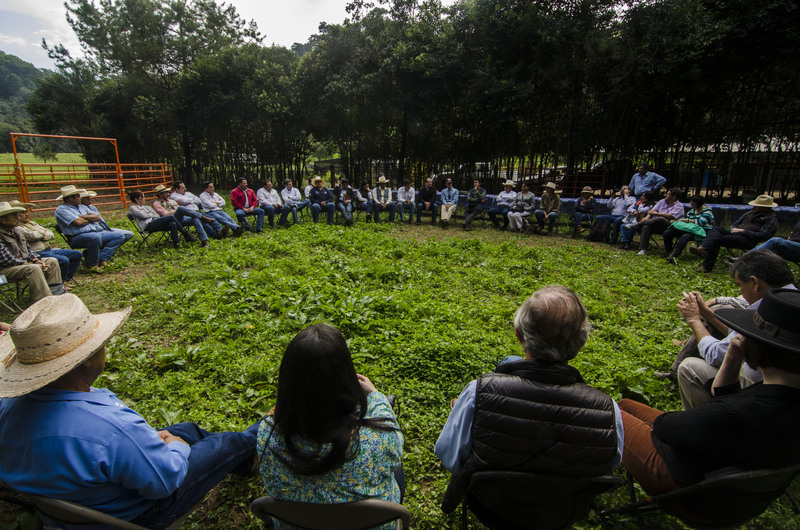 The Secretariat of Agriculture, Livestock, Rural Development, Fisheries and Food (SAGARPA) visited the Sierra Gorda Biosphere Reserve this month to witness first-hand the positive impacts that Holistic Management and soil regeneration activities were having in the region. Following implementation, local farmers have reported dramatic increases in productivity, as well as improvements in their livestock and land’s health. The Holistic Management and soils regeneration programs are run as part of Grupo Ecologico Sierra Gorda IAP’s work with local farmers to reduce the environmental impact of traditional agricultural activities while still generating income from the land. Following the summit, Francisco José Gurría Treviño, General Livestock Coordinator at SAGARPA, indicated he would support the extension of these activities through pilot plots, farms, ranches and eijdos throughout Northern and Central Mexico. Should they continue to prove successful, such programs could be replicated across the entire country to reverse the effects of desertification. This visit took place at Ranch Tonatico and in the GESGIAP offices in Jalpan de Serra, Central Mexico, which is now a Savory Institute Hub. Savory Hubs will represent a global community of Holistic Management practitioners. Attendees came from all over Mexico and abroad, including: Martha Isabel Ruiz Corzo as the host, GESGIAP’s director; Francisco José Gurría Treviño, General Livestock Coordinator at SAGARPA and 22 other SAGARPA representatives from throughout Mexico; as well as Andrea Malmberg, Director of Research & Knowledge Management at the Savory Institute; Iván Aurelio Aguirre Ibarra, representing the LIVES, La Inmaculada, Sonora Hub in Northern Mexico; and Luis Joaquín Gómez Meza, President of the Jersey Cattle Breeding Association.